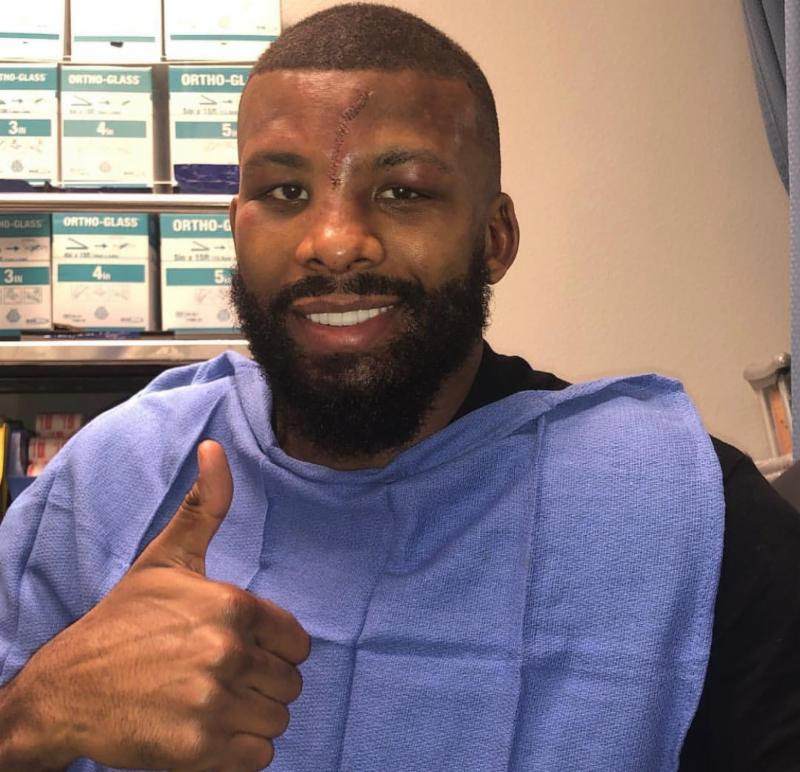 Although two-division world champion Badou Jack dropped a decision Saturday night to fellow light heavyweight Marcus Browne, it was the courage and tenacity that he showed in fighting through what some are calling one of the worst cuts in boxing history that has had the sports world buzzing. Jack has since made it clear that his tenacity and heart is motivated by those who benefit from the work of the Badou Jack Foundation. Jack is set to embark on a goodwill mission to the Middle East today as he couldn’t wait to continue his charitable efforts overseas. His international itinerary includes trips to the Zaatari and Baqaa Refugee Camps in Jordan and business meetings Dubai and London. “I don’t just fight for myself, I fight for the refugee children and I was thinking of them,” said Jack. While many were concerned with the blood that gushed from Jack’s cut round after round, the veteran fighter was able to block it out and continued to fight until the final bell. Although he was taken to the hospital immediately following the fight, Jack was unfazed by the severity of the cut, which was sewn up with nearly 100 stitches. “I feel great right now. Things like that can just happen in the ring,” said Jack. “It was just some blood. And fight through he has. “I was definitely going to make my run like I have in the past,” said Jack. “I think most people in boxing know that this would have been a totally different fight.